I love teaching writing. But few of my students ever came to me loving to write. I knew that I had to ease them into the idea of process writing and spending more than ten minutes on one piece of writing. What we know from research is that personal narrative is the easiest form of writing for our students. Kids have grown up with narrative, so the idea of story is easy for them to grasp. We also write best about what we know from our own lives. So I start the year every year with personal narrative, a story about our own lives. 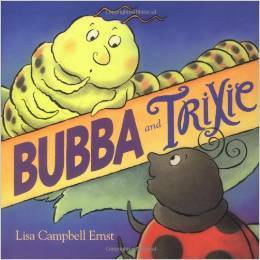 After I read each book, I modeled for the kids by thinking aloud. I told them a story that fits the prompt, then invited them to write. At the same time, I am writing. It is incredibly important for our students to see us writing and sharing our writing. I monitor the time and when it looks as if most students are finished, we share. Sharing can happen in several ways. 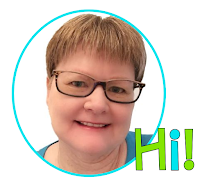 You can invite students to share with the whole class; students can do a pair-share with the person next to them; or you can group 3-4 students to share with each other. 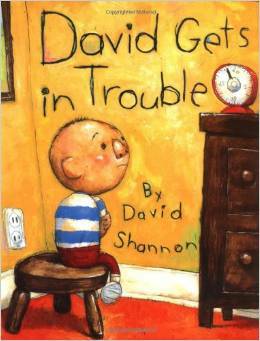 All kids have gotten in trouble sometime in their lives. I model for the kids by thinking aloud about the time my mom dressed my sister and me in brand new clothes so that we could meet family who had never seen us. While she was getting herself ready, we found some red paint in the garage and painted ourselves (and our new clothes!) Then I invite students to write about a time they got in trouble. This is one of the prompts that leads to some great writing. Birthdays are memorable for kids. They’ve all encountered a good one or a bad one. I tell them about the year my sister got to invite her whole class to the Officer’s Club for a big celebration. That same year, I had the kids who lived down the street over for cake on the picnic table out back. 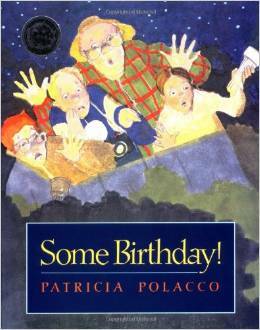 The prompt I offer is for students to write about a memorable birthday. They know from my example that memorable can mean good or bad! This book lends itself to two prompts. 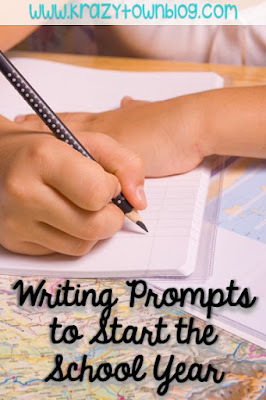 Students can write about a time they were brave or a time they encouraged another person. As usual, I share a story. Sometimes I write about how I was brave when I rode my first roller coaster. Sometimes I talk about encouraging a student. I also tell students they can write about a time someone encouraged them. Most of us have had a time when we were happy about spending time with family. I often share about the Easter at my grandparents when close to 20 of my cousins got together for an egg hunt. 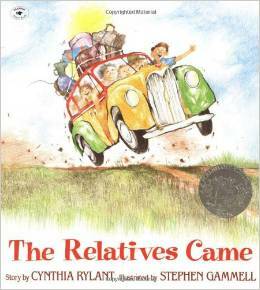 I then ask students to write about a special time with their family. 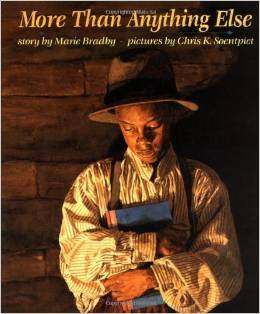 This book is about Booker T. Washington learning to read and the lengths he went to in order to achieve that goal. I tell about getting my teaching degree or my master’s degree. Sometimes I tell about buying my first home or getting my first dog. Then I invite students to write about something they want now or wanted in the past more than anything else. After we have completed these pieces of writing, I ask students to choose their favorite to take through the writing process. In this way. 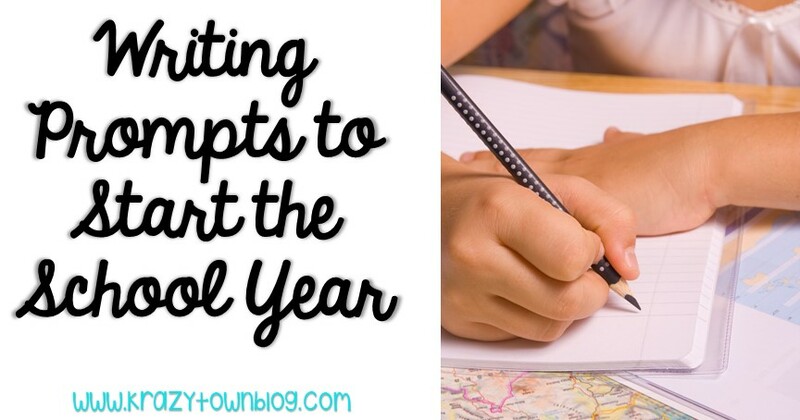 I am honoring the idea of choice that is so important in writing workshop, but also meeting requirements of curriculum that says students must be able to write a personal narrative on the state test later in the year. When we reflect on our writing at the end of the year, many students say these pieces were their favorites. I hope this gives you an idea of how you can use picture books to prompt writing. Feel free to share any books you use to spark student writing. I know how easy it is to lose track of ideas you read in a blog, so I have compiled this information into a freebie and posted it here in my Teachers Pay Teachers store. You can also click on the cover and it will take you to the product. I'd love to hear from you if you use any of these writing prompts! We do something called big writing each Friday where the children write independently based on a prompt we give them and talk about. Some of these ideas will be perfect - thanks so much for sharing! Love the books and prompt ideas! Going to share your post with our teachers!